West Paw has added a third toy to their Zogoflex Echo collection! Last summer Luke got to try out the Rando and the Zwig. Now they’ve taken the Zwig, a safer alternative to a stick, and upped their game by putting in a twist and adding a third lobe. Disclosure: We received a complimentary Skamp toy, but were in no other way compensated for this post. This post does, however, contain affiliate links. We may receive a small commission if you order through them. All opinions are our own. We don’t need this pile of sticks left behind by our tough winter! Sticks are fun for dogs to play with and chew on, but they can present dangers if pieces are swallowed, or even get poked in the eye by a wayward twig. West Paw came up with a better way to play! What kind of fun can a dog have with Skamp? Luke will show you! Skamp has the same hollow core that makes chewing easier on their teeth and more fun for dogs. Luke loves his hard toys to have that extra give when chewing. It’s more versatile than the Zwig, since it’s now easier to play tug with their human or their canine playmates. Skamp flies far, bounces in every direction, and floats on the water as well. We’ve been huge fans of West Paw for years, because we appreciate their values and caring for our pets’ health and happiness. Skamp is BPA and Phthalate free, non-toxic, and FDA compliant. It’s made in the USA, and for pet parents’ convenience is even dishwasher safe! Skamp comes in the same fun colors as the other Echo toys: eggplant, jungle green, and melon. 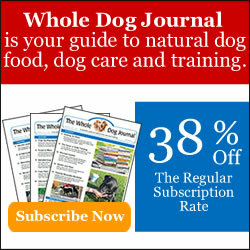 You can find it directly on West Paw’s website or through our affiliate link on amazon: click here. Do you think your dog(s) would have fun with this new toy? Don’t forget West Paw guarantees all their products. You can get a refund or replacement if you’re unhappy; but we don’t think you or your dog will be! Luke Takes the #WestPawUS #ZwigvsTwig Challenge! Seeing Luke play with that fun toy makes me regret not having a dog to treat to one! That looks like a LOT of fun! Pierre loves the West Paw Hurley chew bone so I’m sure he’d be very happy with one. Thanks for letting us know about it. The Hurley was one of our original favorites! We are sure Pierre would love this one too. Thank you! Luke had some fun with it for sure! Oh, we sure hope you get one, Matt!! What a great toy! Looks like Luke is really enjoying it! That looks like fun – enjoy sweetie! Looks like a winner of a toy for Luke. He did a great review too. He also asked me to link this post to Awww Mondays. He says he is most awww worthy. I agree with him. It’s wonderful to see you having so much fun Luke! That looks tough, and fun. They make such great tough toys! There have only been a couple of the Zogoflex ones that our golden Sheba destroyed, they had narrower parts than these latest ones do. Looks like a fun toy to play with outside! I’d be a bit leery of letting Ducky play with it in the house though. Love the color but (any shade of) purple was Callie’s color from her first day with us; and I couldn’t bear a purple toy right now. Or maybe ever. That looks like a cool toy and great color. that could be the toy for da Nelly… if it is strong enough ;O) …the color ist great isn’t it? These toys tend to hold up pretty well! They say for medium chewers. Luke hasn’t destroyed one yet. Yes, their colors are so awesome! We have a green one and are posting about ours tomorrow. I’m scared of the weird bounces, but once it comes to a complete stop I love to play with it. Great toy! I think since our ground is still pretty soft, it didn’t bounce as much as it might have when we played! That looks like a SuperFun toy, Luke!